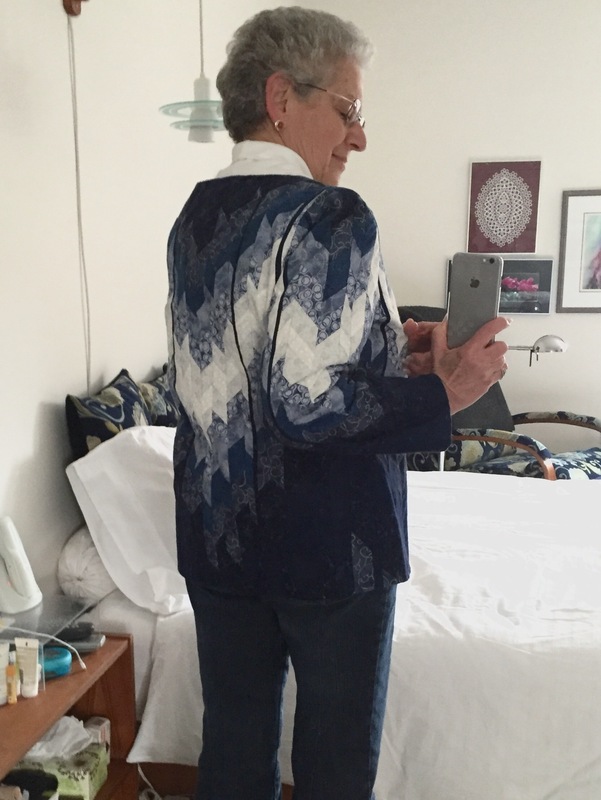 Haven’t had an occasion to wear the Bargello jacket in quite a while. Today a friend and her daughter and I were going for “tea” and the temperature was perfect for this jacket. 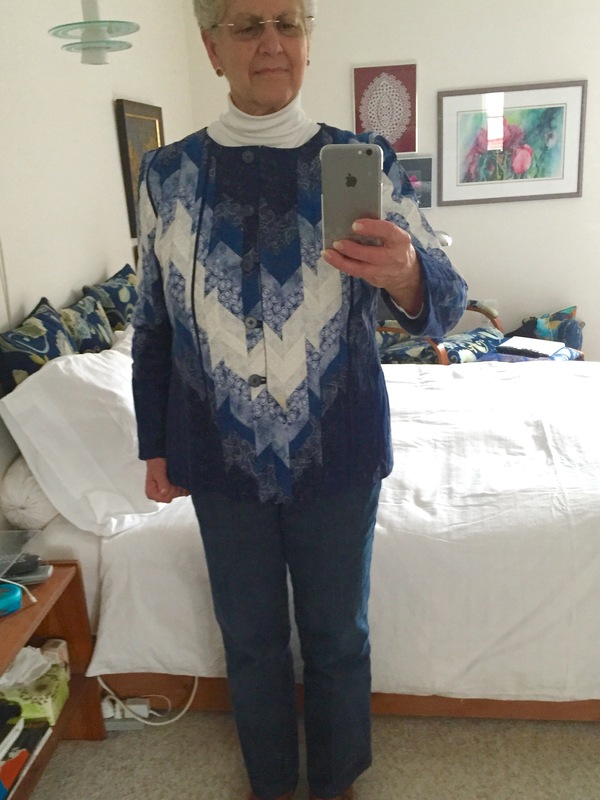 I still love how the chevron works and even though I’m wearing jeans, I end up with dressy outfit. BTW, “tea” was lovely – two great desserts share three ways and a cup of tea and some interesting conversation! I have some great silk dupioni fat quarters that would work into an interesting Bargello – must dig them out and look at them with this in mind.